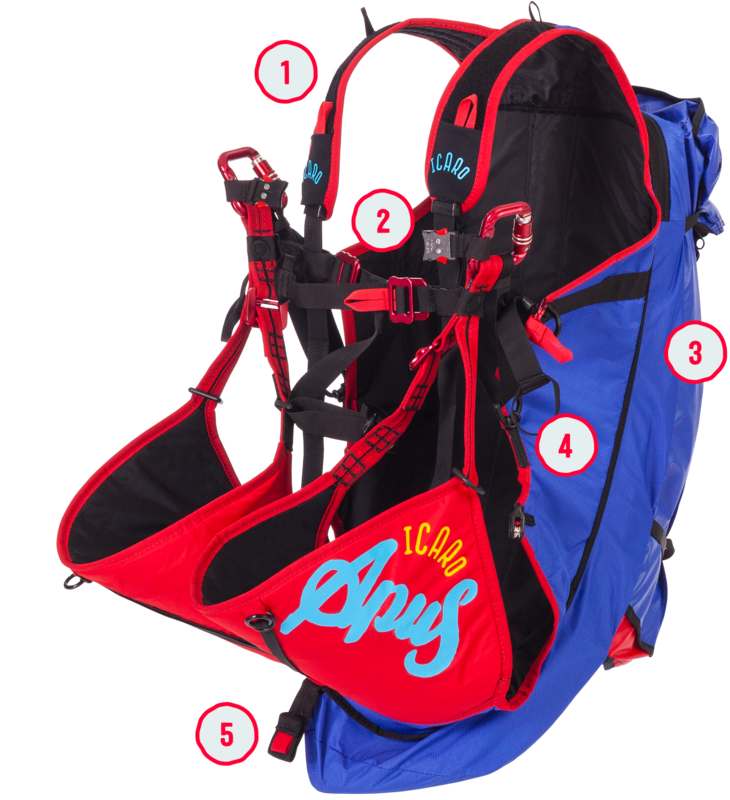 The Apus is our certified reverse-lightweight harness without seating board. 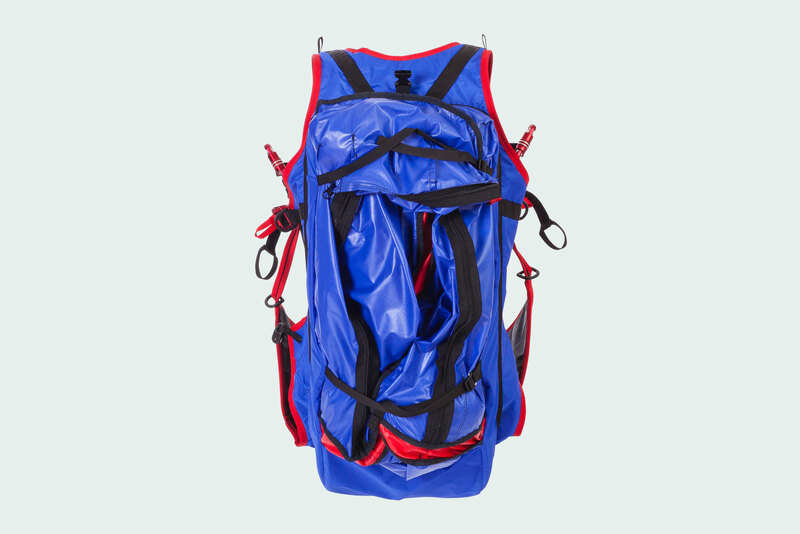 With a total weight of only 1,95 kg it is extremely light weight. 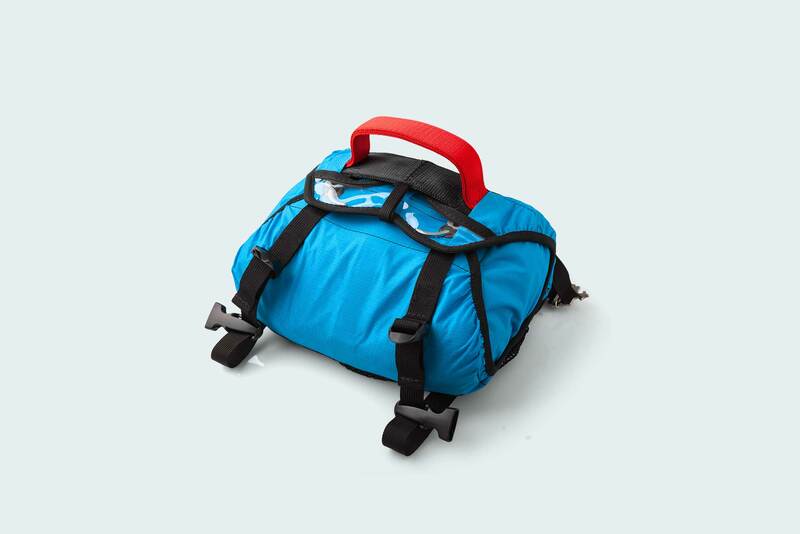 In combination with its airbag-protector is fulfils the highest safety standards. 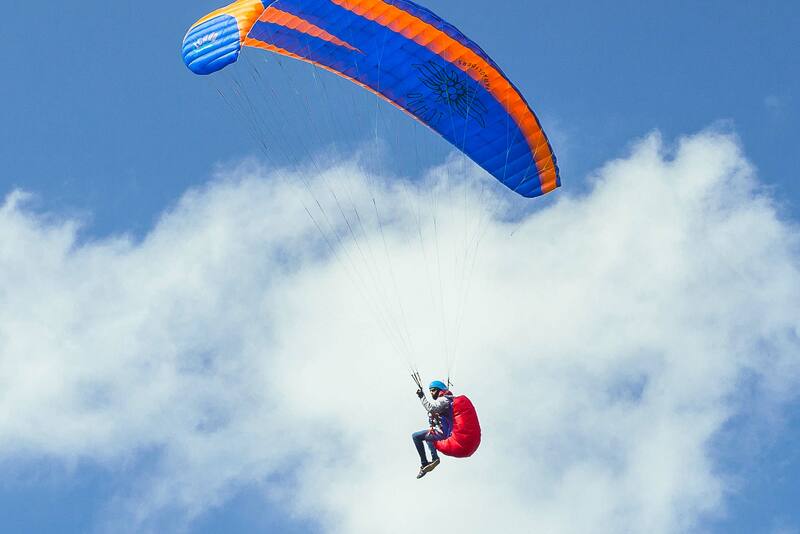 The Apus is a lightweight harness for walk & fly, leisure flying, thermal flying, ground handling or soaring at the dunes. 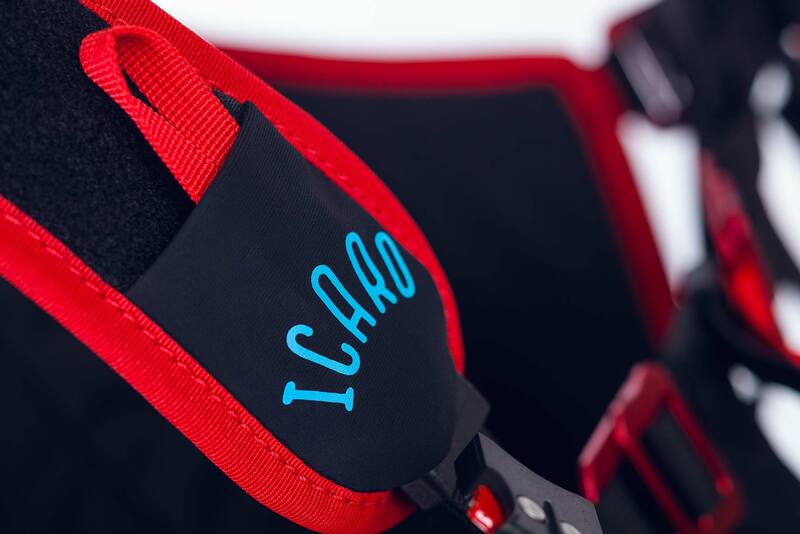 It is suitable for all pilots that want as little weight as possible on their backs and for those who can decide independently how much passive protection they need. 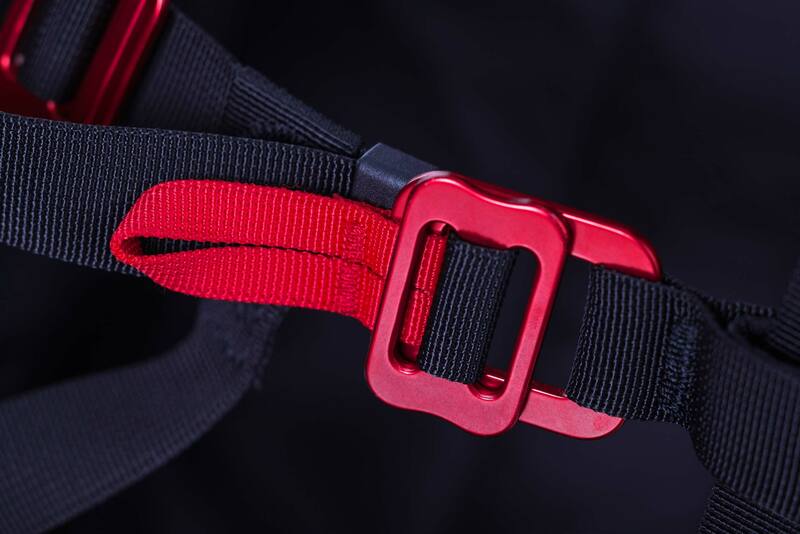 Fixed by Velcro-straps a mini-vario or Spot can be attached to the harness. 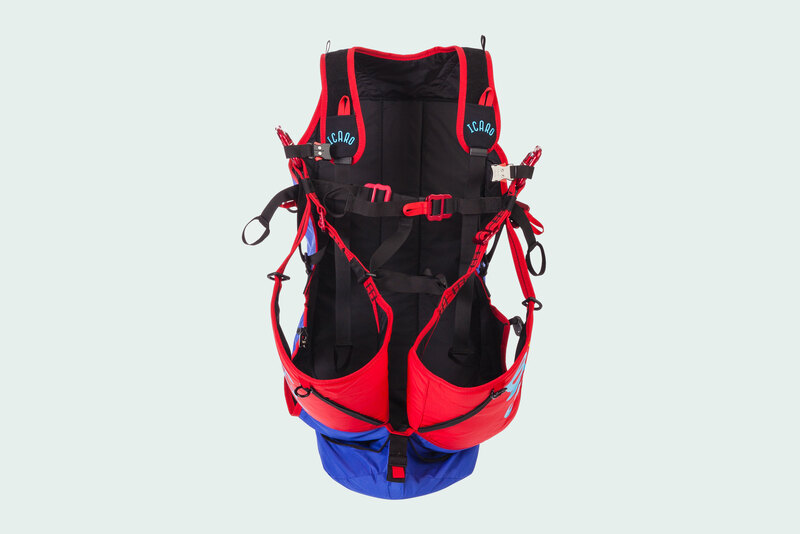 Due to the two additional buckles you have the option to add a front container with a rescue parachute directly to the harness. The 3.5 cm thin foam protector and the Lexan penetration-protection offer you additional safety while they are light and can be removed as needed. 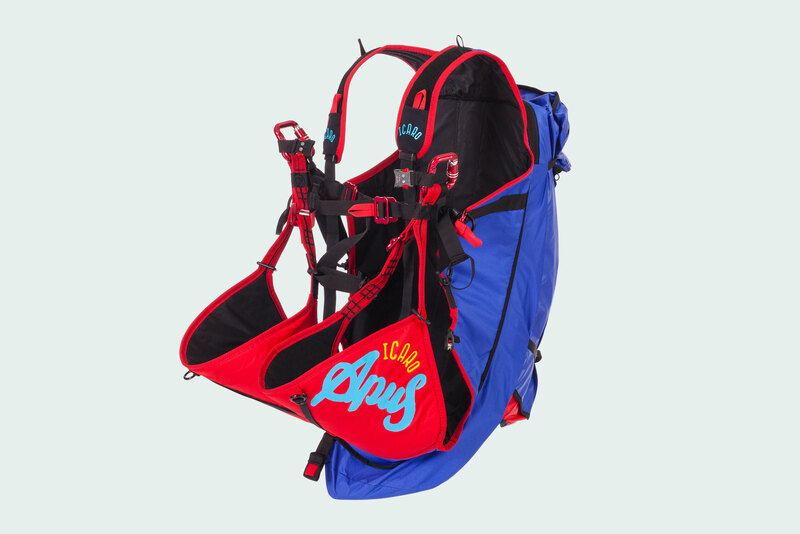 Equipment like sticks, drinking bottles and sleeping bags can be fastened to your harness. 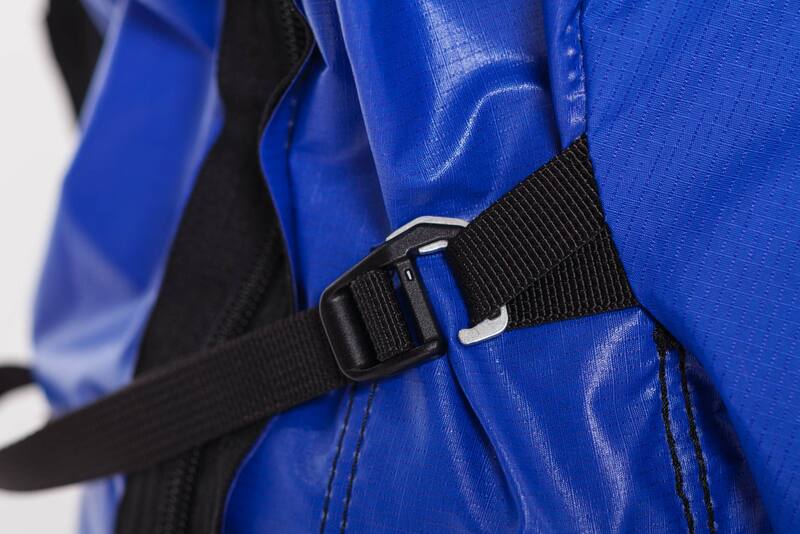 A magnet clip helps you to fix the speed system to the harness easily. 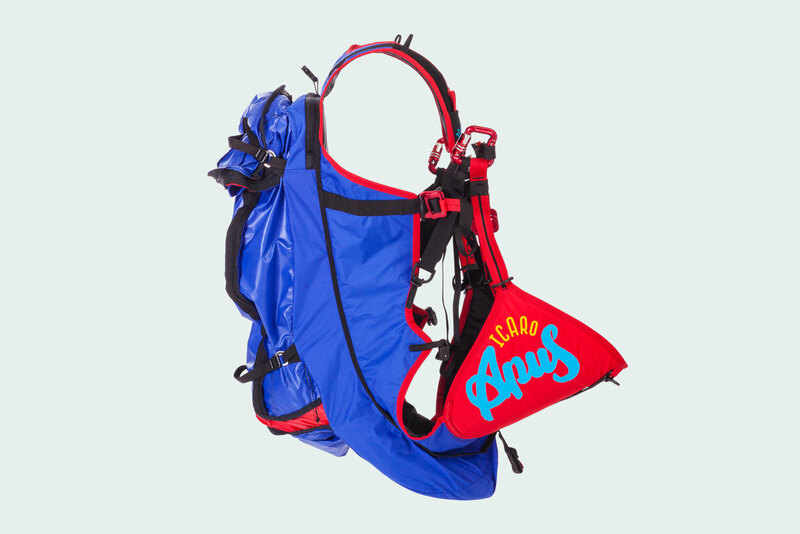 In combination with the airbag protector the Apus a high value EN/LTF certified harness with minimum weight. 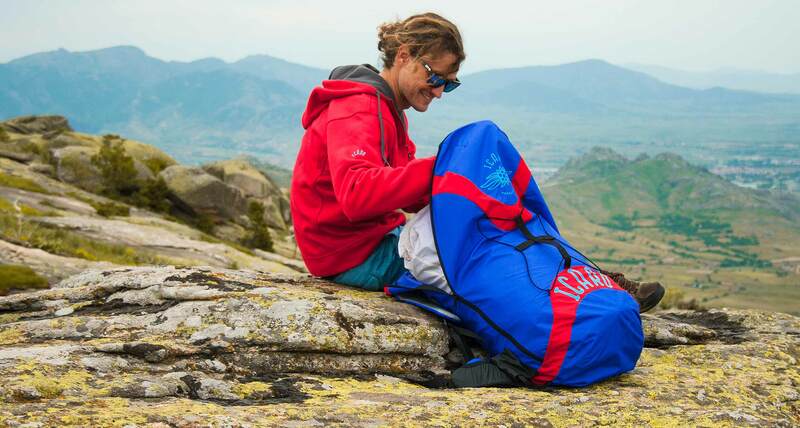 Especially developed to use with light weight gliders, the Apus offers enough storage space for larger gliders. 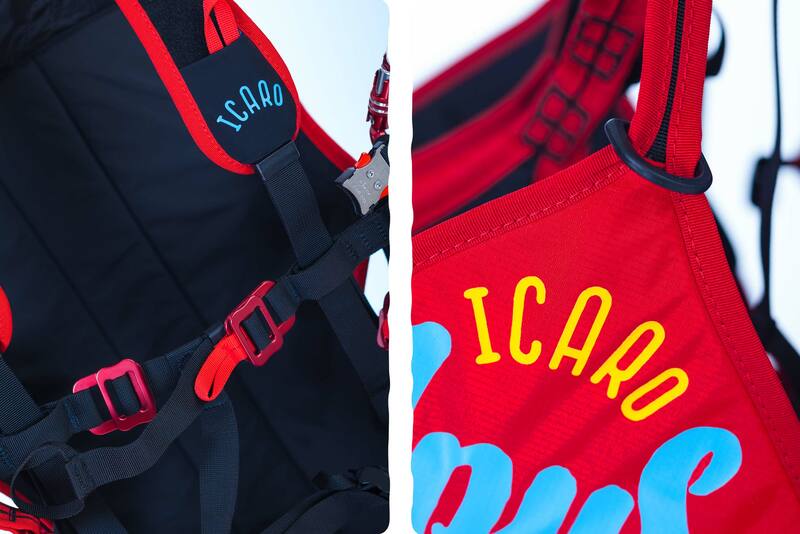 Various adjustment options help to accommodate the harness perfectly to your body.